We all want to keep our feet looking beautiful and the Amope claims to remove dead skin from your feet, revealing beautiful skin. In this video I will review the product that I have been testing for several months and I will give you a demo of the Amope. Here is the link to my old Baby Foot video (click here). 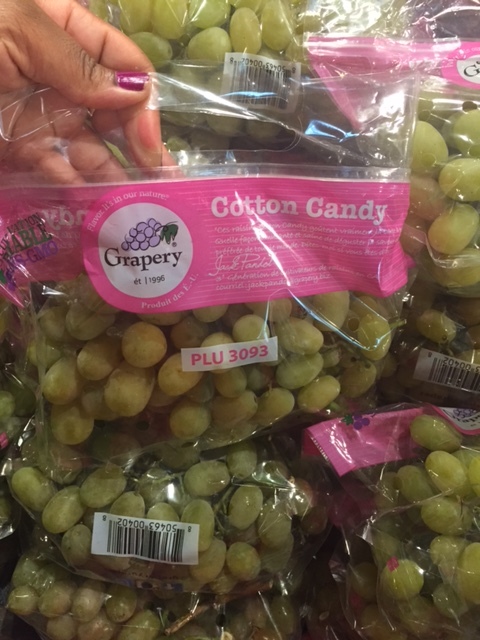 This summer you may have heard people raving about Cotton Candy grapes. The picture above captures the moment when I found a boat load of these non gmo grapes at Whole Foods. Although they look like ordinary green grapes, these California based grapes are hailed for their cotton candy taste. Yes, you read that correctly. These grapes are touted as a natural means of downing what may be your favorite fluffy carnival confection. I'm no cotton candy expert but I have had a cone or two in my childhood and the taste is unmistakable. After taking my first bite I definitely picked up the essence of cotton candy. Of course the texture is like that of a regular grape, no sugary grains or sticky residue, just regular grapes. After the first or second bite the cotton candy taste dissipates and a semi sweet taste emerges. The next day I carried a sizable portion of these grapes to consume as a part of my breakfast. After about grape number 10, I was done and knew that if I never saw another cotton candy grape it would be too soon. I understand the novelty of these grapes, and now I can say been there, done that, but for $3.99 per pound coupled with the odd taste that lingers in my mouth I will pass. Have you tried these grapes? If so, what say you? It has been a while since I've just typed to you, so I know some of you longtime blog readers may feel as if I've abandoned you. Let me assure you that I have not, I am here to stay. The text based blog posts will commence on a regular schedule, just as soon as I put one together. In the meantime I decided to take a look around the blogmosphere and catch up on some of the old blogs that I remember reading in the past. Surprisingly, many of the bloggers I started with are no longer using a text based platform to profess their love of products. I too have incorporated other social media platforms to communicate with you all, I'm on Youtube as productjunkiediva , Instagram @PJD01 and Periscope @PJD08 even though I have yet to scope, but my love of traditional blogging still remains. Thanks for hanging in there with me through this text based drought.